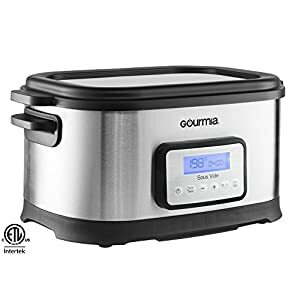 Tags: aquachef, cooker machine, cooker system, culinary, recipe, slow cooker, smart cooker, sous vide, sous vide amazon, sous vide cooking, sous vide cooking equipment, sous vide machine, sous vide water oven, sous vide water oven cooker, water bath, water oven, water oven cooker. 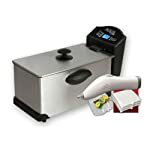 Using the AquaChef Sous Vide Smart Cooker that the world’s best chefs have in their five-star kitchens, the AquaChef turns ordinary foods into extraordinary meals! The secret of the AquaChef is that air never touches your food. 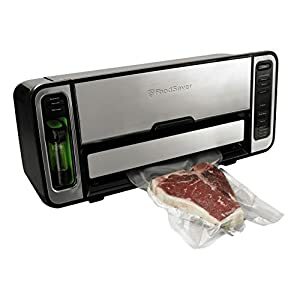 By sealing your food air-tight, your food retains 100% of the moisture, flavor, and nutrients. Your food cooks in its own natural juices, evenly at a precise temperature all the way through. Meaning from edge to edge your food will cook perfectly. And since the AquaChef transfers heat better than ordinary air ovens, your food will cook faster, more efficient, and perfectly every time. 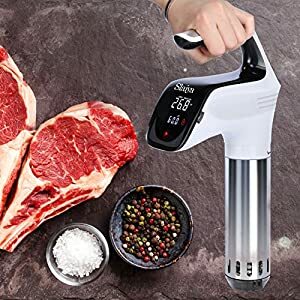 You will have the most amazingly tender steak, chicken, pork, roast, fish, vegetables….and it will be simply incredible and cooked exactly the way you want it, whenever you’re ready to eat it! 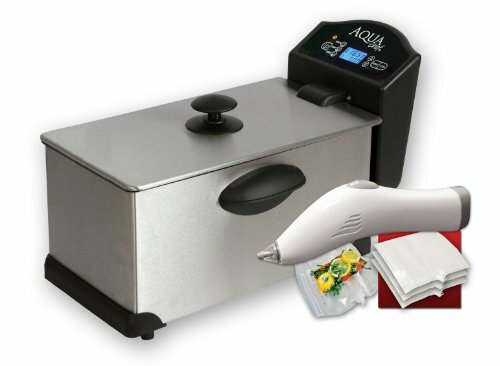 With the AquaChef your food will never cook past the finished temperature, no matter how long it cooks. 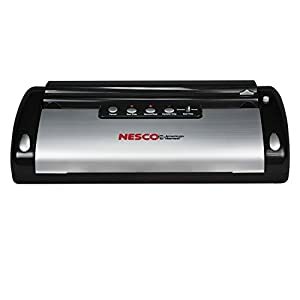 No more dried out or burned food. No uneven doneness. No fiddling with the temperature dials on the stove. Just set the AquaChef for the results you want and get perfect, mouthwatering meals every time! 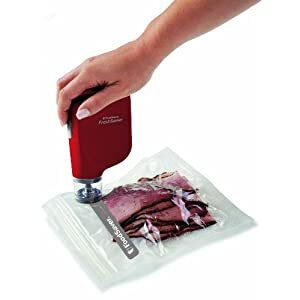 The Seal ‘N Fresh is a compact, easy-to-use vacuum sealing system that keeps food fresh and ready to go! 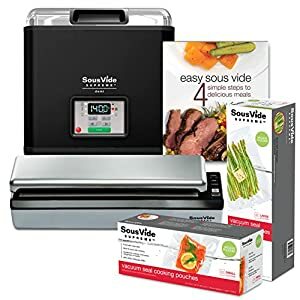 This handy vacuum-sealing system supplies everything you need to prevent freezer burn and eliminate wasted food. 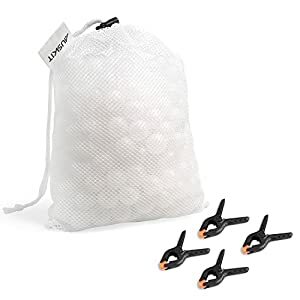 These multi-layered bags go beyond simple airtight storage-they can be steamed, microwaved or even boiled! The bag forms an air-tight seal around your foods, which preserve their natural flavor, color, and longevity. The bags are resealable, reusable, dishwasher-safe, and best of all BPA-FREE! SEAL. SET. SERVE. Seal – Locks out air and keeps in 100% of the flavors, nutrients, & moisture. 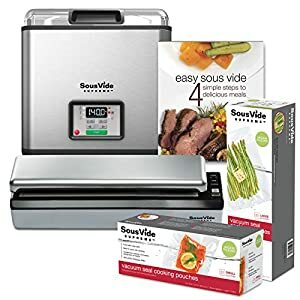 Set – Food cooks in its own natural juices for precise & consistent results. Serve – Enjoy the most flavorful, succulent and tender meals you’ve ever had. 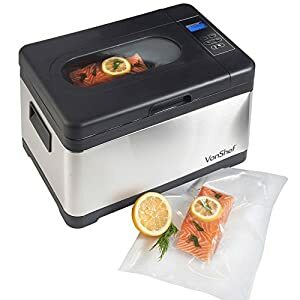 By cooking food in a temperature controlled water bath, heat transfers better than in traditional ovens, resulting in food that is evenly cooked all the way through. Plus, since food is cooked in a vacuum-sealed bag, the natural flavors, nutrients and moisture are locked in for healthy dishes free of added fats. The AquaChef is one of the most versatile compact kitchen appliances available. 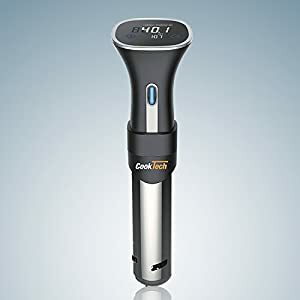 This revolutionary cooking method eliminates the guesswork and hassle of preparing meals at home – anyone can create mouthwatering dishes with unmatched taste and texture. Eliminate added fats or oils; keep foods at the correct temperature until they are ready to serve; and enjoy easy cleanup. No mess, no stress. Seals in freshness and flavor in seconds. With the gentle push of a button, the Vacuum System quickly removes air – locking in the food’s natural flavors, nutrients and moisture. Easy to use and small enough to fit in your kitchen drawer.